Rotaract Club celebrated World Polio Day by conducting a seminar on 26 October 2018. 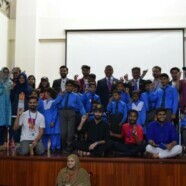 Polio affected children from the organization called Voice Society For The Rehabilitation Of Special Person. 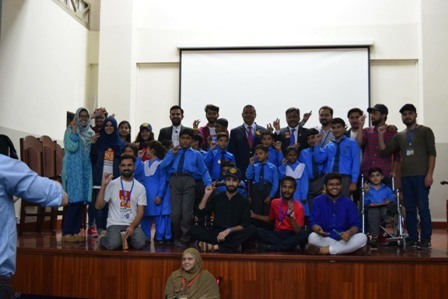 District Rotaract Chairman, Saeed Anjum Khokhar and Mr Anthony Richards were present at the event. 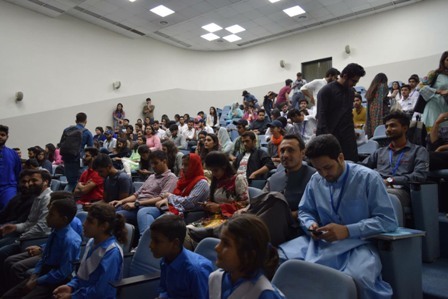 Mr Ammar Husnain Khan, Lecturer in Department of Education was also present there and gave a motivational lecture.